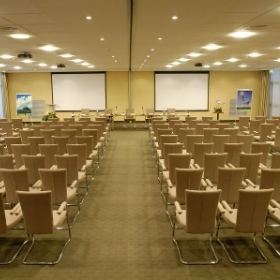 Holiday Inn Rome- Aurelia is located in the Aurelio district in the west part of Rome, close to the Vatican City. 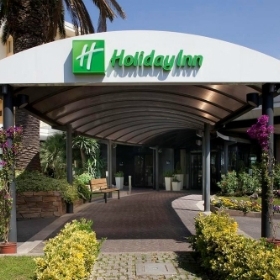 Holiday Inn Rome Aurelia is located in a very quiet, silent area surrounded by green, easily reachable from ring road Aurelia junction. Aurelio is a great choice for travellers interested in old town exploring, roman ruins and museums. This hotel is in the East part of Rome. Directions from Airport: Leonardo da Vinci International Airport, Via dell' Aeroporto di Fiumicino, 00054 Fiumicino RM, Italy. Leonardo da Vinci International Airport, Via dell' Aeroporto di Fiumicino, 00054 Fiumicino RM, Italy can provided to the individual delegates at the cost of €20.00 per way per. The historic centre of the city is a UNESCO World Heritage Site. 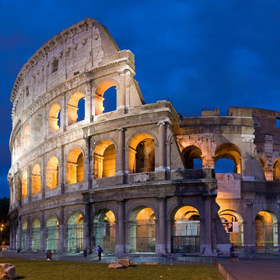 With wonderful palaces, millennium-old churches, grand romantic ruins, opulent monuments, ornate statues and graceful fountains, Rome has an immensely rich historical heritage and cosmopolitan atmosphere, making it one of Europe's and the world's most visited, famous, influential and beautiful capitals. Today, Rome has a growing nightlife scene and is also seen as a shopping heaven, being regarded as one of the fashion capitals of the world (some of Italy's oldest jewellery and clothing establishments were founded in the city). With so many sights and things to do, Rome is the best tourist place in the world.